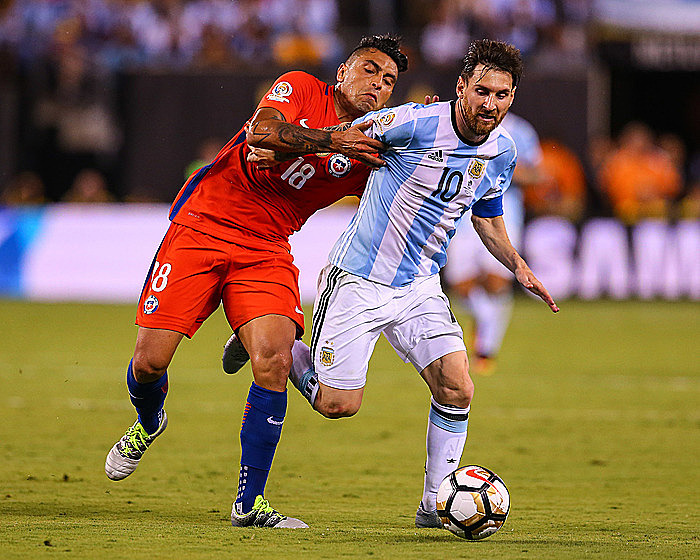 BARCELONA, Spain (AP) — Barcelona says the Argentine Football Association has apologized for comments made by its national team coach Edgardo Bauza about Lionel Messi's injury. Bauza said this week that Barcelona doesn't take good care of its star player, who is missing upcoming World Cup qualifiers because of a muscle injury sustained while playing for Barcelona in the Spanish league. Barcelona spokesman Josep Vives said in a statement that the Argentine association contacted Barcelona "to express its apology for the comments made by the manager" regarding Messi's injury. Vives said the Argentine association assured that Bauza had no "bad intention" whatsoever in making "unfortunate" comments. Vives said Argentina and Barcelona are keen to work together "so that Messi recovers as quickly as possible."